The first one, of course, is produced by Wes Craven, and stars a rogue’s gallery of horror-movie fan favorites, including Robert Englund, Tony Todd, Kane Hodder, and Ted Raimi. 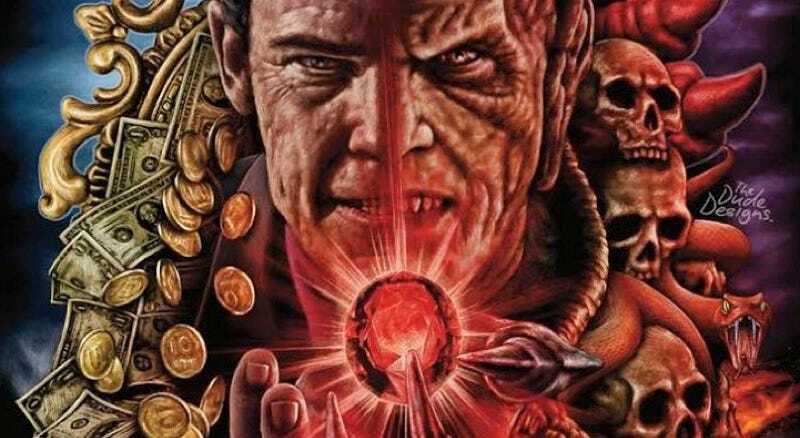 In the sequel, Wishmaster 2: Evil Never Dies, Andrew Divoff reprises his role as the sinister djinn. The subsequent films (Wishmaster 3: Beyond the Gates of Hell and Wishmaster: The Prophecy Fulfilled) are... somewhat less memorable. Still, this three-disc set—out March 28, according to the Vestron Video Collector’s Series Facebook page—looks like a must-own for cult horror completists. Here’s a list of the special features (kudos to whoever coined “Wishmasterpiece Theater”), followed by the box artwork and a trailer.